Last year's Moto X was a very well-liked phone, but now there's a new version that seeks to turn more of that admiration into sales. 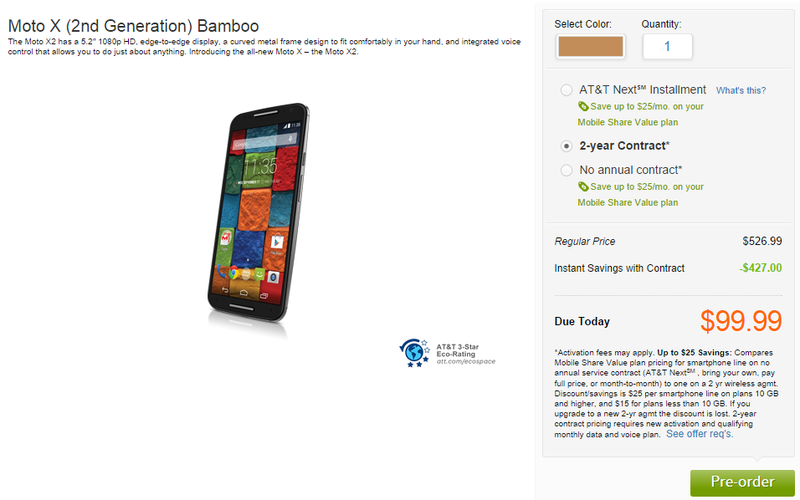 The 2014 Moto X has just gone live in the US on Motorola's website, and is also up for preorder on AT&T. Are there customizations? Oh, you better believe there are customizations. The so-called Pure Edition Moto X can be purchased direct from Motorola for $499. 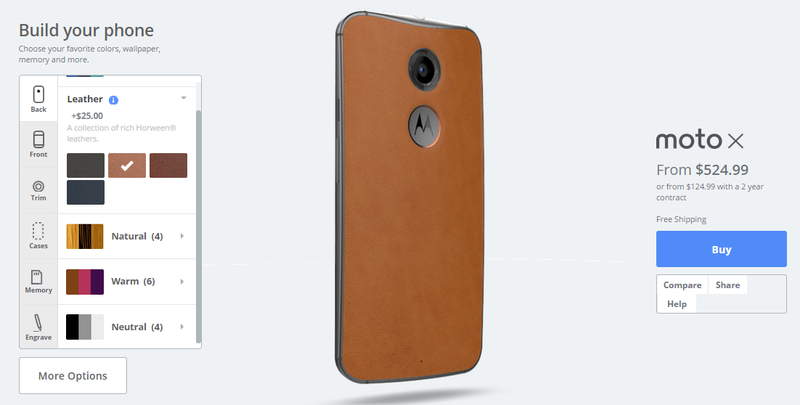 You get all the Moto Maker customization options and the phone will work on AT&T or T-Mobile in the US. If you want a wood or leather back, it'll be an extra $25. Over on AT&T, the Moto X is $99 on a two-year contract ($526.99 without one), or you can get it on Next 12 (26.35/month) or Next 18 (21.96/month). That's for the basic version—bamboo or black leather adds $25 to the total price, just like on Moto maker. AT&T says it will ship the new Moto X by 9/23, but Motorola lists the date as 9/26. So expect a couple days on that one. If you're waiting on Sprint of Verizon, it might be another week or two before you can hand over your money. 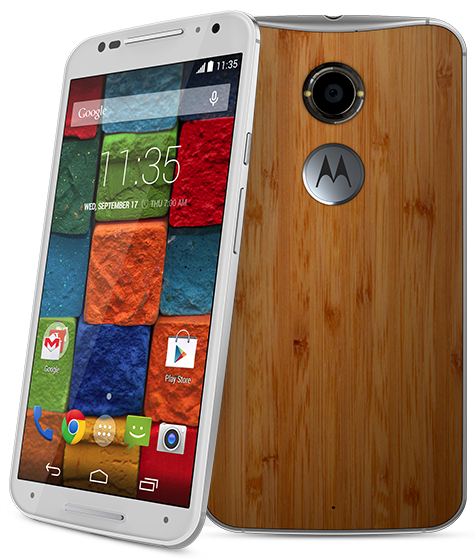 T-Mobile probably won't be selling the Moto X directly, so the Pure Edition is your only option.